Why Did I Eat It? HEY I’m blogging in the middle of a school week! That doesn’t happen very often these days, huh? I’m even joining in on the What I Ate Wednesday fun for the first time in a few weeks! 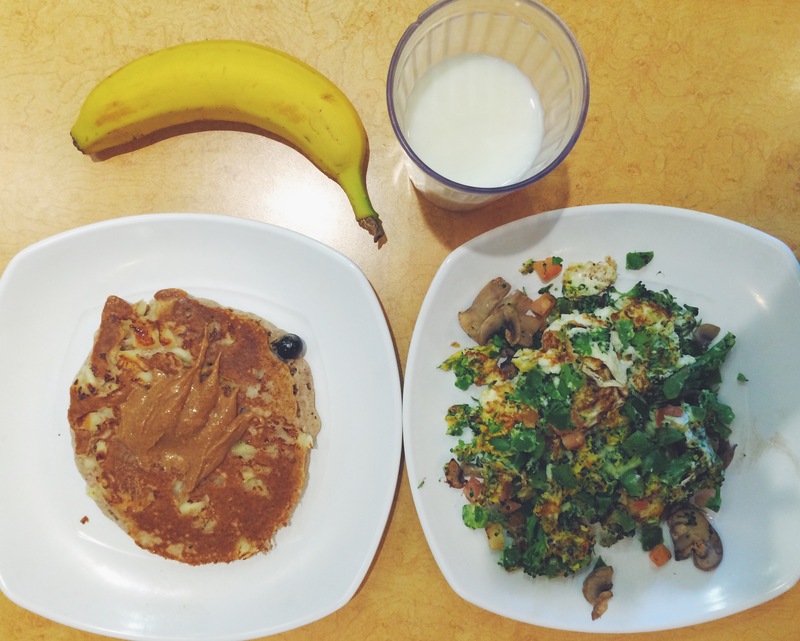 Today I’m showing you what I ate on Monday, a regular ol’ day in college. But I also wanted to share the reasons why I ate what I ate. I said it in my NEDA week post, but I’ll say it again: it can be difficult to not analyze food to some extent, even after recovering from an eating disorder. However, my mindset towards food has shifted from focusing on restriction and calories to focusing on nutrients, fuel, and happiness. 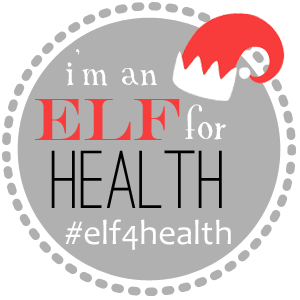 Sometimes I choose to eat certain foods to make sure I am getting enough macros, nutrients, etc. Other times, I choose to eat foods because I’m in a rush. Still other times, I choose to eat foods because they just taste good. So here are Monday’s eats and the answers to the question: Why did I eat it? -Two egg scramble with all the veggies in the land // For protein, fiber, and nutrients + staying power for three straight hours of classes. -Whole wheat apple pancake with peanut butter and banana on top // For whole grains, fruit, delicious taste, healthy fats and just…peanut butter. -Glass o’ milk // To wash down the pancake with peanut butter and for calcium. 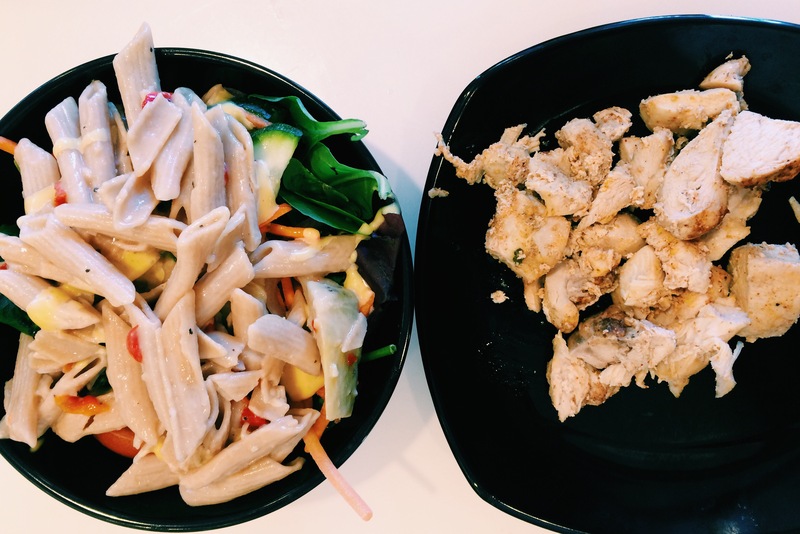 –Grilled chicken // For protein, and it was spiced well. -Salad with spinach, tomatoes, carrots, sautéed veggies, whole wheat pasta salad, and honey dijon dressing // For yet more veggie power, carbs, something to eat with the chicken, and taste (man this was delicious!). -Apple // To keep the doctor away 😉 And because I like to end on a sweet note. 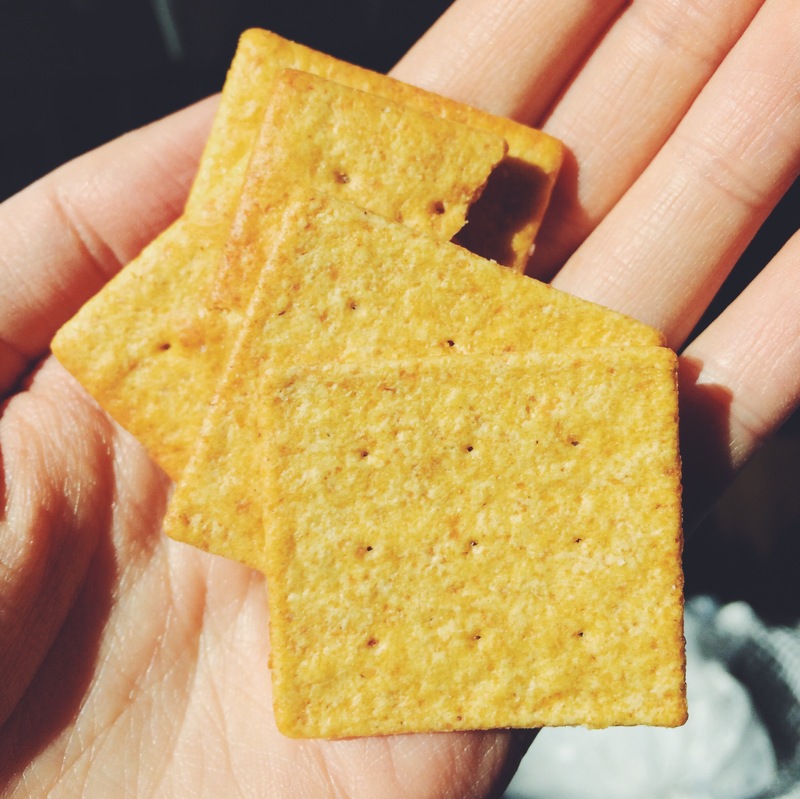 -Wheat Thins // Because they’re a convenient snack that I have in my dorm and I love them. 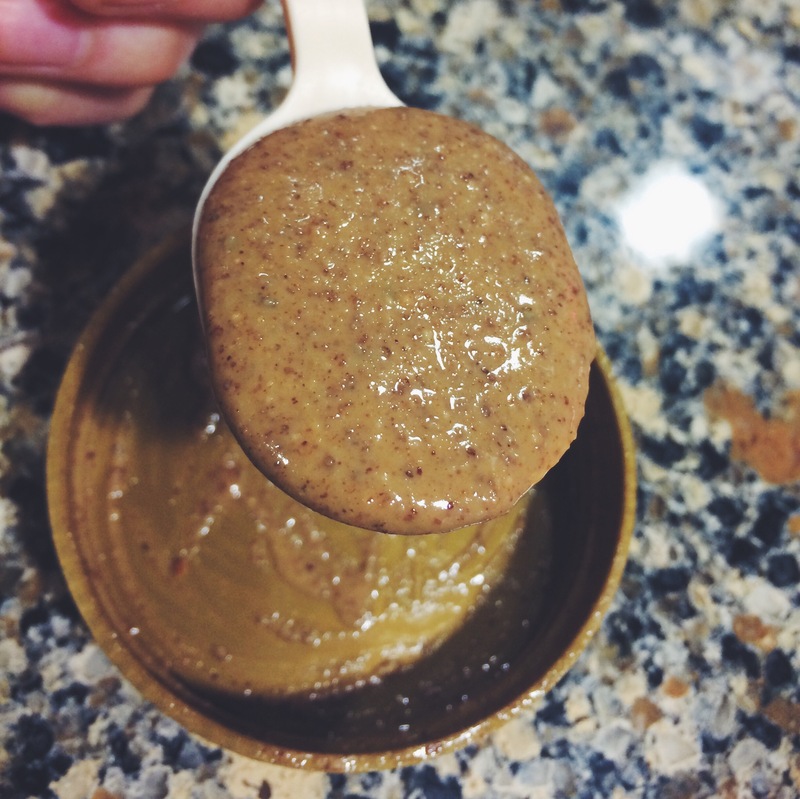 -Another spoonful of almond butter // I was still hungry and I knew I would not be eating dinner in another three hours. 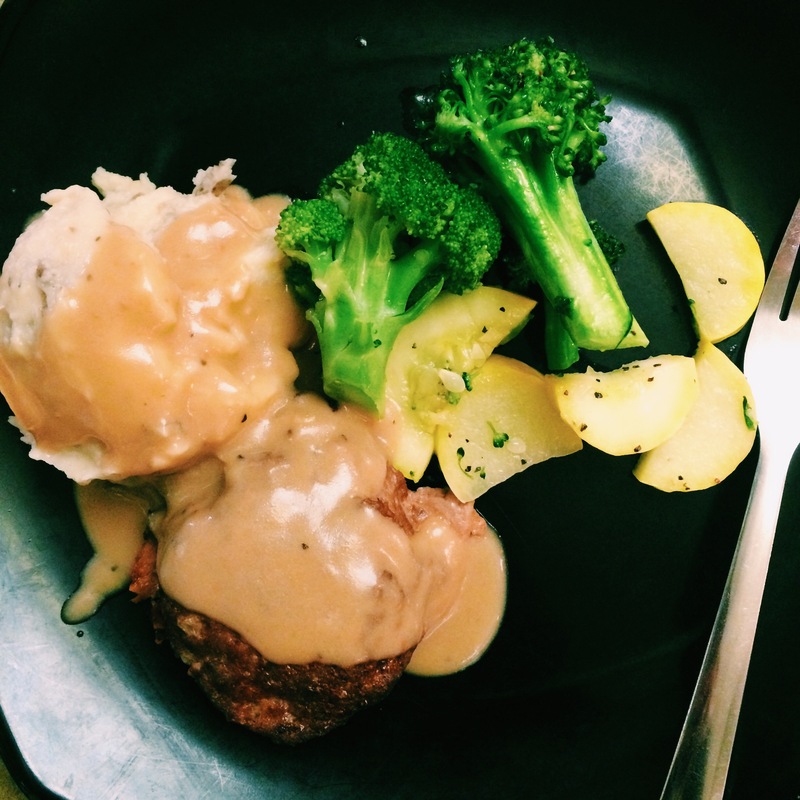 -Meatloaf, mashed potatoes, steamed vegetables, and gravy // Because I will eat any sort of meatloaf (okay, maybe not). Also for protein, carbs, veggies, and comfort (a good meal for thawing out from the cold outdoors). 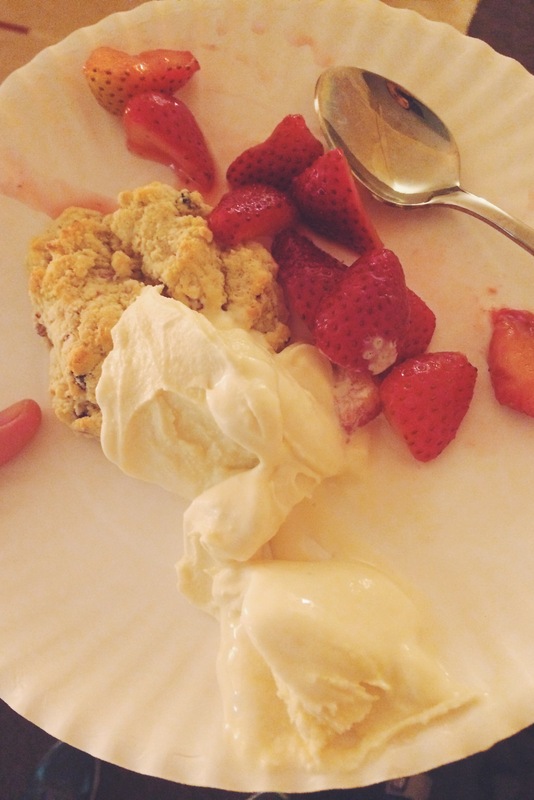 -Apple and raisin compote + peach cobbler ice cream // I wanted dessert. There’s a little more explanation for this one. I grabbed the apple raisin compote in hopes to have it a la mode with vanilla ice cream, but there was no vanilla ice cream when I went to go get some. Thus, I tried this peach cobbler ice cream, but it was kinda gross to me, so I didn’t really eat it. I finished most of the apple raisin thing though. It was worth the Monday night sugar overload. Looking back at my day of eats, it looks like I ate quite a lot. But as I was going about my day on Monday, this was the amount my body needed (and wanted when it came to the desserts). Even though I seek to get enough vegetables, whole grains, nutrients, etc., I am fortunate to say that I also truly enjoy the healthy foods I eat. Then I might have some (or a lot of) sugar because it’s also tasty and nourishing to my soul. Mindful eating used to be my whole life, but with time, mindful eating has become a useful tool— an optional tool at times. 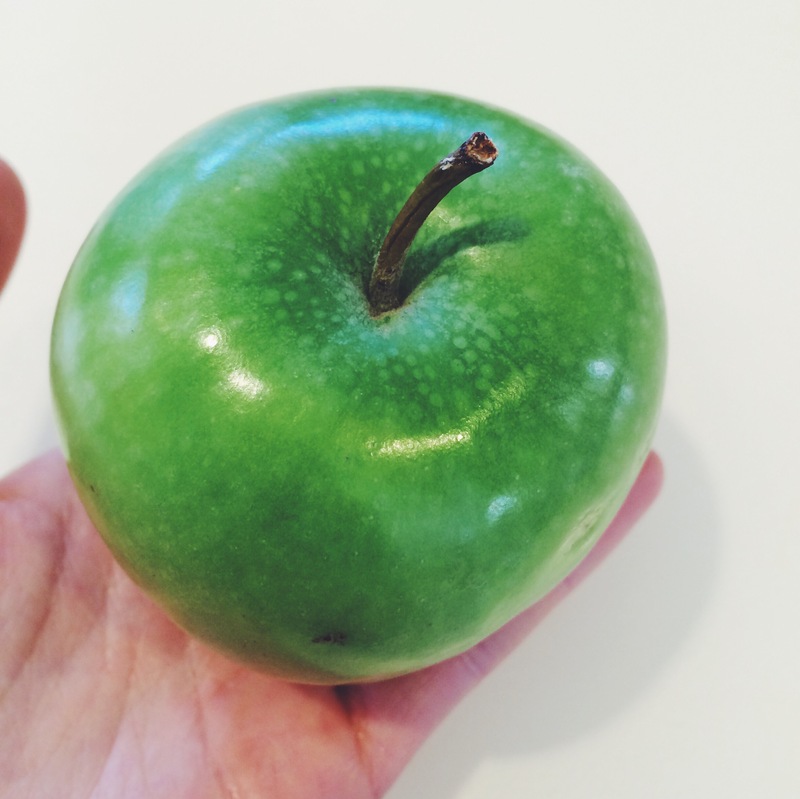 Do you consider yourself a “mindful eater”? 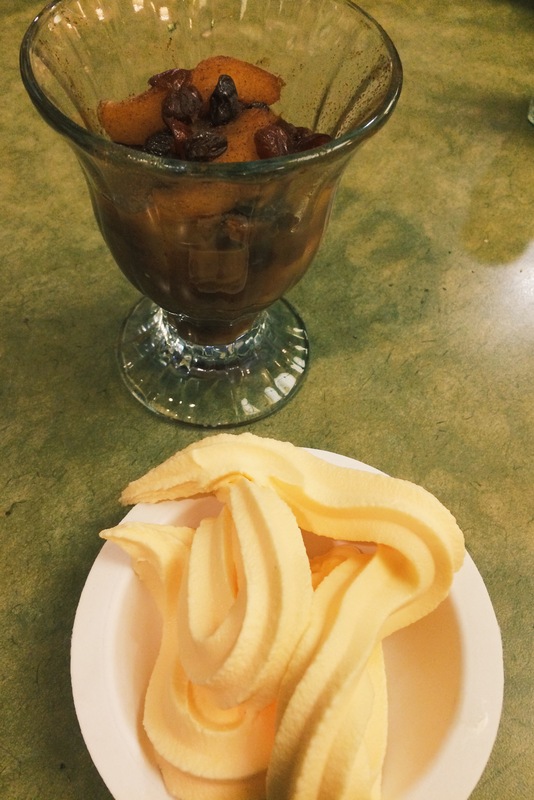 What is a sweet treat that you’ve eaten recently? Do you like softball or baseball? This entry was posted in Fitness, Food, Life and tagged almond butter, Apple, apple chips, balance, banana, breakfast, carbohydrates, chicken, dessert, dining hall food, dinner, eating disorder recovery, eggs, food, fruits, healthy, healthy fats, intramurals, lunch, mashed potatoes, meatloaf, mindful eating, Pancake, Peanut butter, protein, recovery, Salad, snacks, softball, strawberry shortcake, sugar, sweets, vegetables, what i ate wednesday, wheat thins, wiaw. Bookmark the permalink. 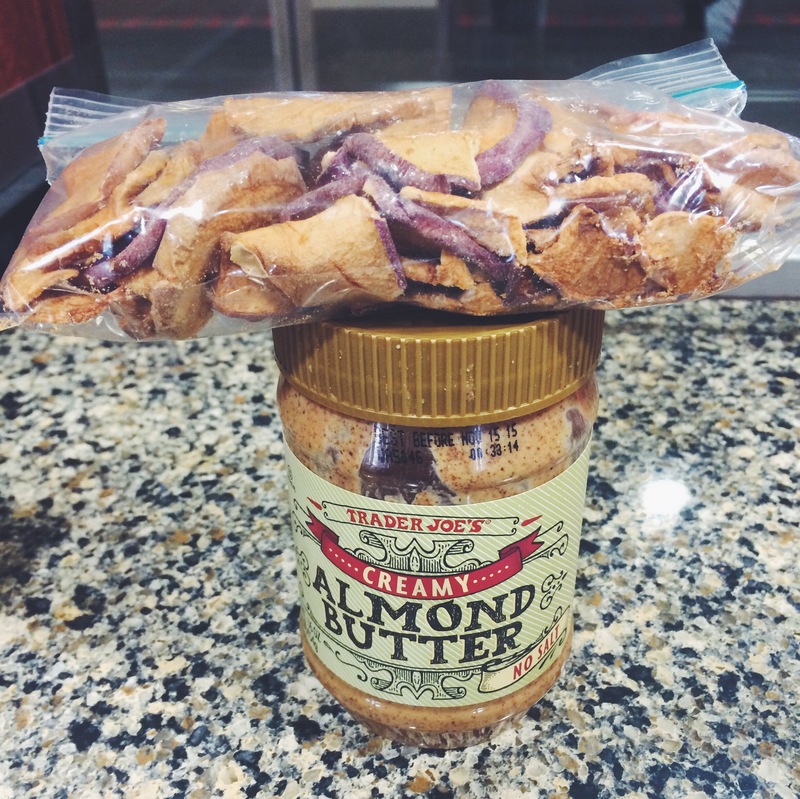 omg almond butter is my favorite! Is there any way to contact you via email? Thanks for another great post pal! Ahh love you, Katie! I didn’t have Irish soda bread this year and now I’m sad… Maybe I’ll just make some at home during the summer for a very late St. Paddy’s day celebration. Oooo a Lindt chocolate store in the building!? That’s fantastic. how dare you eat 27 spoonfuls of peanut butter. How selfish. 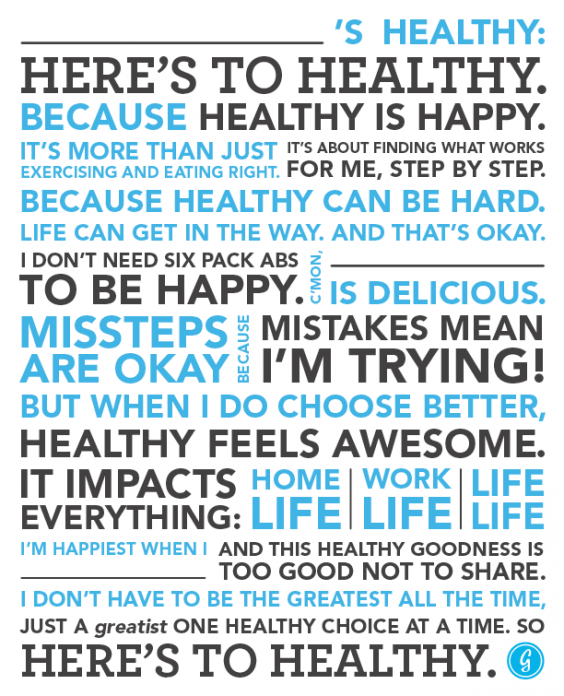 You have such a healthy mindset- One which I can’t wait to eat all of manhattan with! That’s so awesome you’re playing ball! 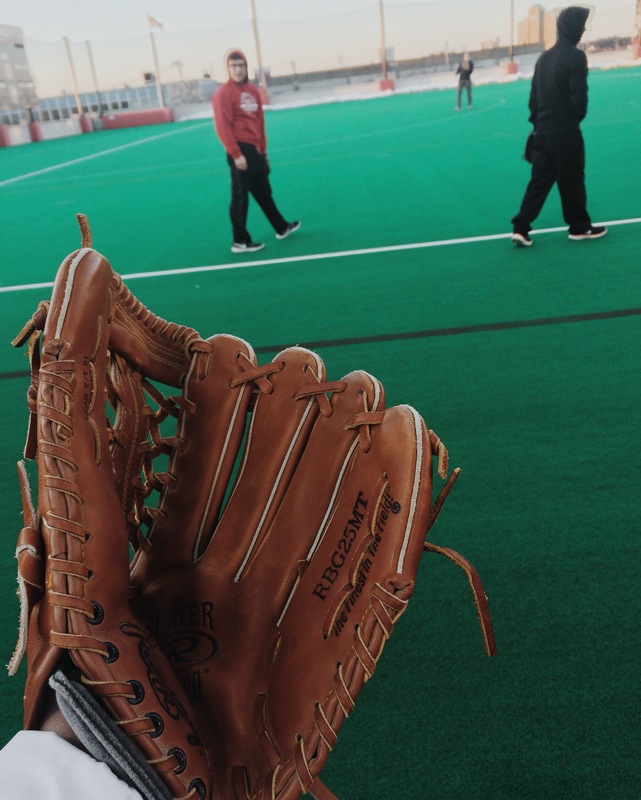 I love softball – I need to find an adult team since I moved! ❤ this! I've gotten so much better with stuff like this. I used to force myself to eat something because it's "what I needed to eat" but now I pretty much just eat whatever I'm craving! What I've found is that most of the time, I'm not craving a big sugary substance. A lot of the time I crave veggies! Although if there is the option for something like dessert I won't turn it down – today in choir someone brought in peanut butter brownies and instead of not letting myself have one I ate that sucker. And maybe another one. 😉 happy weekend girly! You continue to amaze me with your immense maturity. Sometimes I forget we are the same age. I am continually inspired by your willingness to share your life and your journey of recovery. You are an incredible woman Alison!